Driven by the Communities we are connected to. 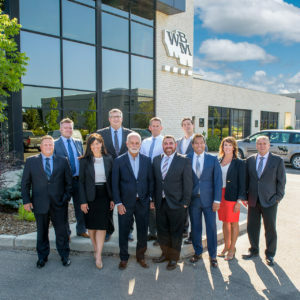 From our first photocopier in 1962, to our first Digital Network in 1984, to one of Canada’s first VoIP communications systems in 1994, WBM has been at the forefront of innovation in information technology. Today, we are a complete systems integrator, focused on the strategic objectives of our client organizations, and the role that technology can play in achieving them. WBM operates out of Operation Centers located in Vancouver, Calgary, Regina, and Saskatoon, employing a team of over 260 IT professionals across Canada. We are ranked on the MSPMentor501 as one of the world’s largest and most sophisticated Managed IT Solutions Providers, and as one of the Top IT Solutions Providers in Canada. We are driven by the difference we can make together, inspired by the communities we live and work in, and providing business solutions through 4 core practice areas: Data & Security, End User Computing, Managed Print, and Enterprise Service Desk.